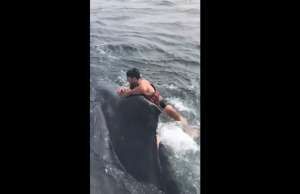 Fisherman cut a tangled buoy line from humpback. I saw that on the news. Wonderful, and thoughtful.